In order to produce high quality patient care, you must have high quality nursing staff. Sounds simple, right? Before we begin, I would like to just throw some numbers at you. Now, I know exactly what you are thinking, and you are right. Yes, this is a guide to help nurse managers hire the right person for their unit, floor, facility or organization. Before we plunge into the tips and tricks of hiring the right person, though, you must buy into the process from many angles. The dollar speaks loudly here. I can throw all kinds of facts and figures at you based on staff turnover rates, organizational expenses, training, recruiting and whatever else you and your chief financial officer can think of. I am not going to do that…well not exactly. I want you to think about just a couple of figures. The first fact blew my mind the first time I read it. We hear every day how it costs an organization tens of thousands of dollars to turnover a single Registered Nurse. This in itself is a mind blowing. As we desperately try to save our organization money that can be used in patient care, equipment and upgrades, we are using it to replace nursing staff. Sometimes the staff leave to explore other opportunities or seek new adventures, but we also turn over staff because they are not the right fit for our unit. Oh right, back to the mind blowing fact! By the year 2022, the Unites States will be short some 1.05 million nurses (HealtheCareers, 2016).The financial of why we want to hire the right fit for the job is as obvious as the nose on your face. Yet, hospitals continue to struggle around the country by spinning their wheels, struggling to build a cohesive team and throwing money out the window. Now that we have a sense of the financial implications, let’s take a look at how we can plan for turnover. To be frank, we do not do this well either! Statistics show that 86% of the 20,000 healthcare job seekers interviewed stated confidence in finding a new job in their career field within a year (HealtheCareers, 2016). Do you want 86% of your new work force looking for a new job within a year? Now that I have your attention and you want to hire the right fit for your area in order to build your team, improve your budget and keep your organization from spiraling down a financial toilet, please pay close attention. Tip Number One: Stop doing all the work yourself! In order to do this properly you will need to create a team. The team should be well-versed in the goal of the unit and what they are looking for in a candidate. Meet with your team monthly in order to discuss prior interviews. Throw out strategies of determining who has the right mind-set and skill-set to work for your unit. Remember, this is your little business and not just anyone should make the cut. Tip Number Two: Before learning what to ask candidates, learn what you cannot ask them. Most organizations have a human resources department and I encourage you to, well… use it! The last thing you ever want to do is ask questions that break the employment laws in your state. My favorite questions from staff are, “why did you hire her when you knew she was pregnant?” I feel I do not even need to explain this answer. Let’s move on, shall we? Tip Number Three: Discuss the actual components of the job in terms of requirements, expectations and administrative lingo. This will save you time and energy. You do not want to get into a full blown interview with your team and candidate if the candidate cannot work every other weekend or the hours you will need them to. Just move on and let them know you have a strict criteria. After all, you are staffing for the unit’s needs, not the individual’s. Tip Number Four: This is where I need you to pay attention and focus. You are now ready to begin asking your candidate specific questions. So what do you think you will ask? How they liked school or when they placed their first IV line? This can be a part of the overall discussion, however, I must warn you to avoid making decisions based on chit chat, small talk and skills. Let me introduce you to the behavioral-based question side of interviewing. Think about what kind of behaviors and experiences you want your new staff to have going into their new employment on your unit. The strategy behind this is rather simple. Avoid allowing candidates to tell you what they will do and what they want to do and direct them to telling you what they have already done in their past. Let me explain. Give me an example of a time when you experienced a patient who was not happy with their care. Tell me the situation, what you did in response and the result of the situation. This interviewing strategy gives the hiring team very concrete, real-life examples that demonstrate the candidate’s qualities so you can see how their qualities fit with what you are looking for. For many units, questions can be tailored around these basic qualities of: teamwork, attitude, stress management, being punctual and attendance and receiving feedback. Tip Number Five: Rate the candidate on a number system where 0 is poor and 5 is excellent. This helps in determining the right fit when you have more than one great candidate for a single position. Tip Number Six: Now you can give the candidate a tour, once you feel they will be a good fit. This is where you want to sell them your unit as you see them as a great investment. 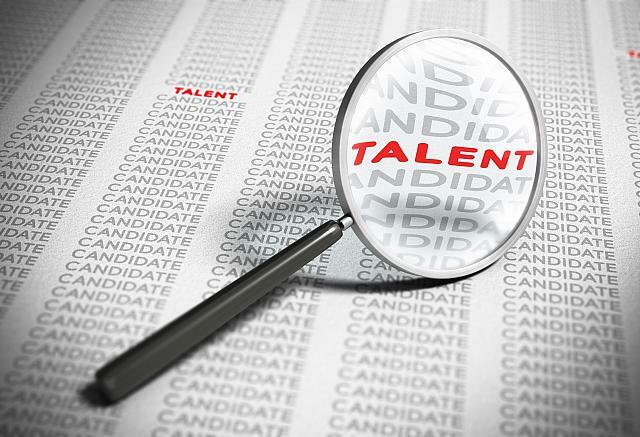 Simple tips of finding the right candidate. SO they take the job and now you are worry free…right? Well, you could not be any more wrong than saying the sky is peach colored at night! This is where having a great staff retention program will help you hold on to your great finds and investments. We will look into what it takes to do just that in another adventure. HealtheCareers. (2016). 2016 mid-year healthcare recruting trends report. Retrieved from http://resources.healthecareers.com/2016-midyear-recruiting-jobs-report.